The symbolic meaning of the serpent ranges from culture to culture, and has changed throughout history. However, because of my belief in its powerful and transformative nature, I’ve been seduced by this animal for some time. After finding this piece featuring the serpent in all its glory, I’m hoping to transform some of those basic tees and jeans that I currently have in my closet. That is seriously the coolest necklace and love supporting Etsy boutiques! I have a love hate thing for snakes – surprisingly, I like big ones but the small ones freak me out. Anyway, I think this is a gorgeous exception to the rule – small, delicate, and beautiful! I love this delicate necklace! So beautiful! Beautiful photo for a beautiful necklace. 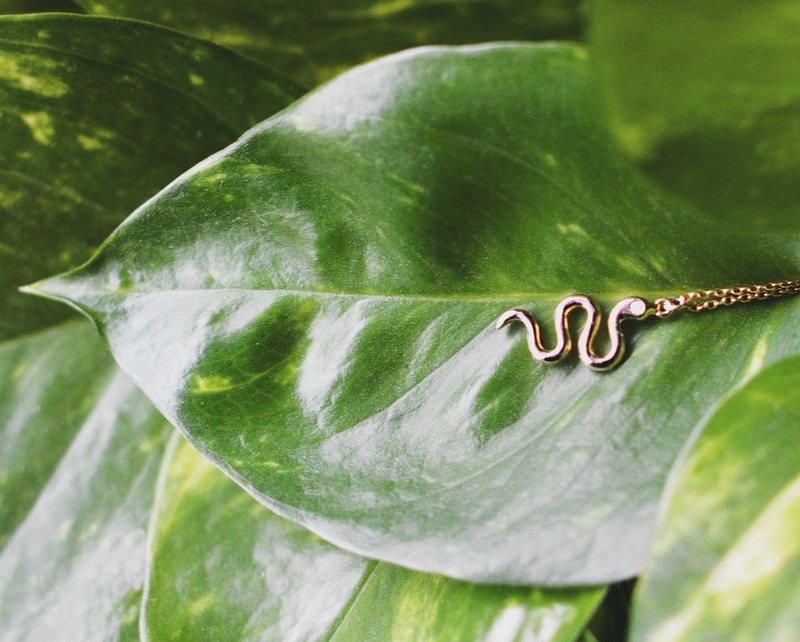 This is the most elegant and adorable snake necklace I’ve ever seen.